Some sensitive, potentially volatile information is lost to a master criminal named Raoul Silva (Javier Bardem – No Country For Old Men). A man hell bent on taking revenge against MI6 and in particular, M (Judi Dench – The Best Exotic Marigold Hotel), Silva will stop at nothing to get what he wants. This brings James Bond (Daniel Craig – The Girl With The Dragon Tattoo) back into action to track down the deadly threat before it escalates into a global catastrophe. 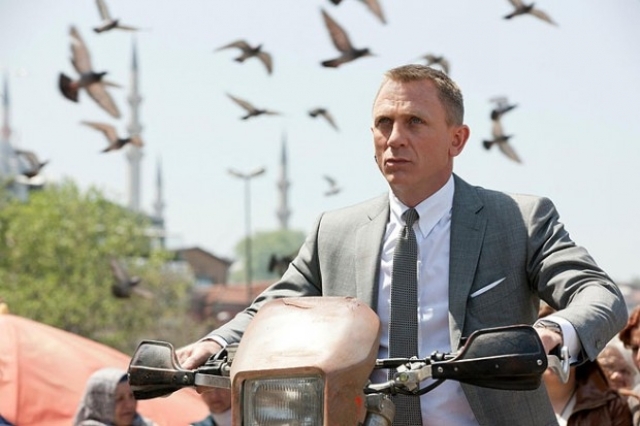 Skyfall marks James Bond’s remarkable 23rd big screen outing and what a spectacle it is. The film has flaws but they can be overlooked thanks to a story that’s stripped down to its bare essentials, reinvigorating the legacy of 007 to startling effect. Skyfall is a reboot of the reboot, so to speak. The events of Casino Royale and Quantum of Solace are largely glossed over for a story that reignites the true origins of Bond whilst taking us to a point we’ll all be familiar with. It lacks the sharpness of Royale but thankfully addresses the bluntness of Solace to deliver the perfect blockbuster that personifies everything a Bond movie should. Throw in some decent shocks and some classic homage’s and you have the most accomplished Bond movie in nearly 20 years. The opening sequence is jaw-droppingly awesome and the perfect way to begin this latest adventure. It’s probably one of the best three opening sequences this franchise has ever had. Set in Istanbul, it finds Bond hot on the trail of a hard drive that contains very sensitive information that’s fallen into the wrong hands. This sets up the main plot of Skyfall and runs with a story that’s packed with action and edge-of-your-seat thrills throughout. Daniel Craig is sensational as Bond with this third outing definitely cementing him as the second best Bond of all time. Effortlessly mixing the rugged with moments of rare sincerity, Craig has cultivated a Bond for a new generation that somehow feels perfectly at home in every decade this character has existed. 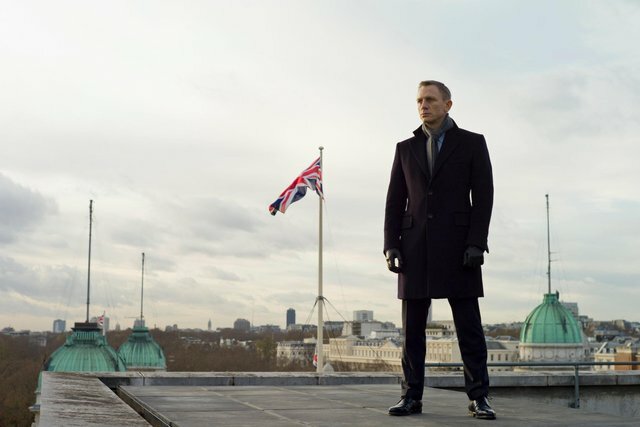 Classically suave, confident and dangerous, Daniel Craig is Skyfall’s biggest asset. Craig is without doubt the star of the show but he is given superb support throughout. Dame Judi Dench once again steals her scenes as M, who has now become a target and relies on Bond more than ever. She is paired alongside ex-soldier and government task master Gareth Mallory – played with suitable guile and professionalism by the always reliable Ralph Fiennes. Naomie Harris does well as a would-be agent working alongside Bond whilst Ben Whishaw impresses as 007’s new Quartermaster. Bérénice Marlohe does what she can as the token Bond girl but her character isn’t fleshed out enough. The same could be said of Javier Bardem’s turn too – Raoul Silva feels a little too timid and doesn’t exude the fear and danger his reputation suggests. He does have a fresh angle for a Bond villain though – and one that’s handled cleverly when Silva and Bond finally meet. There are a lot of parallels to be made with Skyfall and The Dark Knight. There are scenes which feel directly influenced by Christopher Nolan’s opus with story nods in the direction of Wayne Manor, an orphan rising to take his mantle, an old soul guiding his development and a villain with anarchic malevolence. Look hard enough and you’ll even see a Two-Face moment in there. If reports are to be suggested, Christopher Nolan could be in-line to direct the next Bond adventure – that really would be something amazing. Sam Mendes handles the directing reigns of Skyfall well enough though and leaves some of his trademark traits behind for the greater good of the story. There are a few problems with some of the thematic choices that are made throughout the film – a tantalising fight in a Komodo dragon den (trust me) is cut painfully short and seeing London under siege doesn’t give us quite the gravitas that it probably should. But these are easily forgiven weighed against the film’s many positives. Overreaction has also set in about the product placement in Skyfall. I personally didn’t think it was that bad as Bond has always had an affinity with brands like Aston Martin and Omega. From Adele’s haunting theme to the classic nods of a bygone era, Skyfall delivers on every level. With Daniel Craig officially signed up for at least two more Bond adventures, the future looks very bright for the world’s greatest secret agent. 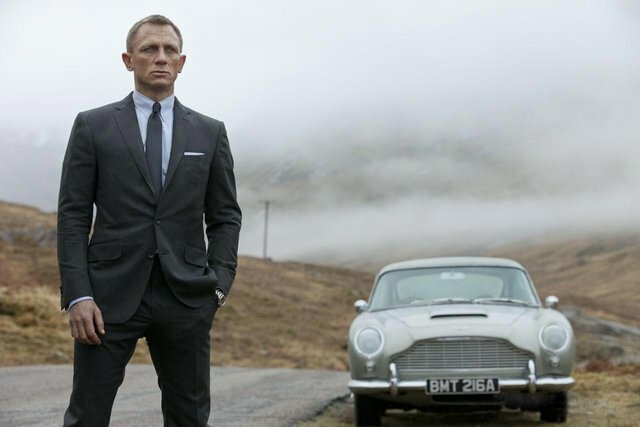 Skyfall is a definitive statement of intent from the makers that once again reinvents this character in its 50th year. Skyfall is, without doubt, the best action adventure we’ve had in 2012 and a film that simply cannot be missed.